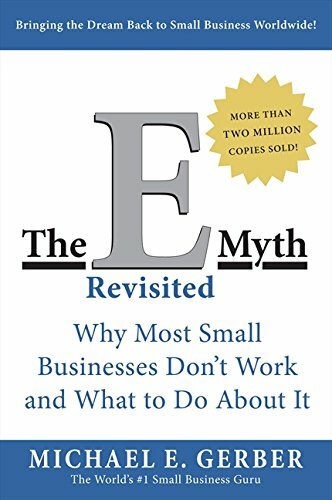 I hope you are enjoying reading E-Myth Revisited, here is another great tool from the E-Myth Team. The position Agreement is a management tool that helps create a solid foundation for managers and employees to work together. The Position Agreement is an effective management tool that helps create a solid foundation for managers and employees to work together. Position Agreements are written agreements between managers and the employees who report to them. Unlike job descriptions, Position Agreements outline specific work your employees agree to do as part of their job and are organized so they know exactly what their responsibilities are. With Result Statements, Work Listings, and Standards you can create an effective management tool that helps to build a solid foundation for managers and employees to work together. For some positions, you won’t need an agreement right away. Your first priority should be for employees who aren’t performing well, and for positions you’re now actively recruiting for. Eventually, you’ll also want to think about positions you’d like to fill in the future. There are many ways to start writing your agreements. Your managers can write them for those who report to them, your employees can begin drafting their own, or you can begin by starting at the top or bottom of your Org Chart. You might find it more effective for one person or a small team of people to write agreements for the entire company. It’s important to keep employees’ Position Agreements updated to reflect your current Organization Chart and the positions you plan to add in the future. The goal is to eventually create a complete management system, from which the end result is high-performing employees. With a completed Org Chart that outlines the functions of your business and the roles you need, your Position Agreements will take your system further by adding more detail. This way, you’ll be able to measure your employees against clearly outlined standards, and have a system for introducing new hires to their roles. The titles of the position, the manager’s position, and all reporting positions. The position identification shows where the employee fits in your Organization Chart and includes their official title within your company. For managers, consider adding the titles and result statements of their reporting employees as well since they’ll need to be aware of how they can support their team. A statement of the result the position is required to produce. The result statement indicates what you want to have happen and why. It keeps everyone focused on the expected results of their positions. A list of the work to be performed by the person occupying the position. It will include some combination of strategic and tactical work. Inherent in each work item listed is a system for how to perform the work. Requirements for achieving the result and for performing the work. Standards are easiest to determine if you consider a given position and ask yourself what works and what doesn’t work as the employee performs this role. Both the manager and the employee accepting the position sign the Position Agreement. By doing so, employees indicate their agreement to accomplish the result, and managers agree to support their employees to achieve the result. Keep your company’s agreements consistent in their format and in the languaging used. These sections are essentially a fill-in-the-blanks exercise. The position title, the manager’s position, and any reporting employees’ positions come directly from your Organization Chart. The results statements come from the results listing you have already prepared. You can modify the ‘company wide’ rules to fit your culture, or you can use them as a guideline. RESULT STATEMENT: This position is accountable for producing the following result: To optimize company’s cash flow, protect its creditworthiness, and effectively manage vendor relationships through the establishment and implementation of policies and systems for the payment of company liabilities. Evaluate the quantification related to accounts payable systems. Evaluate the performance and results of the accounts payable function. Recommend and develop improved systems, policies, and procedures for the accounts payable function. Plan and implement work schedules. Hire and train people in the Accounts Payable Associate position. Manage and coach all Accounts Payable Associates. Prepare and deliver performance evaluations to all Accounts Payable Associates. Provide input and assistance to other members of the Finance Department toward the achievement of the department’s overall result. Provide information and assistance related to accounts payable to company employees. Review and approve all invoices received by the company. Code, allocate, and voucher all invoices, check requests, and expense reports. Prepare all checks for payment of the company’s liabilities. Prepare and deliver accounts payable reports and related information and documentation. Review, complete, and submit government agency reports. List quantity, quality, and behavior standards for which this position is accountable. Do not include those that belong on a system action plan. Vendor discounts for early payment will be taken 75 percent of the time in any quarter. All invoices will be checked for approval and accuracy prior to payment. All accounting entries will be thoroughly documented to create an effective audit trail. Late payments will be reported to the vendor by telephone or fax no later than one business day following the due date, and preferably prior to the due date, to protect company’s creditworthiness. All work will be performed according to company policies and standards, in the spirit of the company’s Vision. All work will be orchestrated and quantified when appropriate. All telephone calls, both internal and external, will be returned within two hours when-ever possible, and within one business day at the latest. All proprietary company information will be held as strictly confidential outside the company. Immediate manager will be notified of any issues that cannot be resolved, or deadlines that cannot be met, within a reasonable time frame, and before the deadline has arrived. The company’s dress code will be followed at all times. I accept the accountabilities of this position and agree to produce the results, perform the work, and meet the standards set forth in this Position Agreement. I agree to provide a working environment, necessary resources, and appropriate training to enable the accountabilities of this position (result, work, standards) to be accomplished. I want to help you fall back in love with your business. True power is being whole. The challenges that you are facing are not of the average person. As entrepreneurs, we are unique, but our problems are common! Loneliness in decision-making processes, solving problems, and planning, wrapped in occasional doubt and fear grips us from time to time. Are you interested in learning how to get to your next million quicker, happier, and whole? Follow me on your favorite social media platform!